Browsing articles tagged with " Exposure Therpay"
At Anchor Counseling: Therapy is Designed for You! At Anchor Counseling Center we find that, initially, many of our clients fear being labeled with a psychological disorder or even a learning disability. 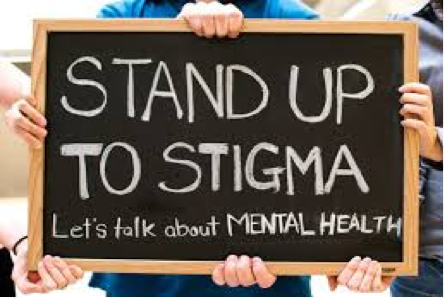 Most people are fearful of the stigmas associated with having a psychological problem or having to get help in order to overcome a personal problem. At Anchor, the clinicians don’t just give you a diagnosis and try to treat that diagnosis. While we may prescribe a psychiatric diagnosis, it only contributes to part of how we treat the individual as a whole in therapy. In the famous study of psycho-diagnostic labels by Dr. David Rosenhan, eight pseudo-patients were committed to hospitalization. These “patients” claimed to “hear voices that said, ‘empty,’ ‘hollow,’ and ‘thud.’ Beyond this single symptom the pseudo-patients acted completely normal. Even though this was the only symptom exhibited and they otherwise acted perfectly normal, all eight were admitted, with all but one being prescribed the diagnosis of schizophrenia. Once inside the hospital, the pseudo-patients acted completely normal—displayed no further symptoms. Each participant also took notes which were eventually perceived as another attribute of their diagnoses. As a result, the participants were hospitalized for seven to fifty-two days—remaining virtually undetected by hospital staff (psychiatrist, nurses, etc.). This study somewhat catapulted psychologists into realizing that a normal person versus a mentally ill person is not readily distinguishable. Many pseudo-patients reported that some of the actual patients were able to recognize them as “fake, or not crazy.” The reasoning for this is suggested by the data gathered for patient-to-staff contact/communication. Approximately 71-88% of all hospital staff ignored patient inquires and/or questions. Between 23 and 10% of the staff would actually avoid eye contact. There was also an incident of a female nurse adjusting her bra in front of male patients—as if they weren’t real beings. This implies that because of limited contact with patients, many misdiagnoses go unnoticed. Also, it suggests that focusing on one symptom of a potential patient, as opposed to several behaviors, can be misguiding or overly suggestive. Once these pseudo-patients were given a diagnosis (schizophrenia),that became the “central characteristic of the individual.” Labels tend to suggest, and once a person knows what someone else’s label is they then begin to perceive their behavior as an attribute of the label. The staff in this instance perceived the note-taking as a part of the pseudo-patients illness regardless of the fact that the ‘patients’ acted otherwise normal. The reversal of the study also offered proof that distinguishing the normal from the mentally-ill is difficult. Many hospitals/institutions claimed to interview numerous pseudo and possible pseudo-patients when Dr. Rosenhan had in fact sent no pseudo-patients. Frankly, we have no concrete way of knowing who is normal versus who is abnormal, especially on the basis of one behavior. The key is asserting that there is plenty of room for misdiagnosis and to watch, study, and communicate (ask questions) with patients in order to know whether re-evaluation is necessary. Also, greater awareness of labeling dangers is keen in order to dismantle one’s own biases and focus on the actual happenings of the patient. Finally, rather than focusing on just one component of an illness, the broader spectrum of the illness should be scrutinized with regards to the patient. Does his/her behavior fit more than one characteristic of the illness? What other behaviors do you notice? What are some behaviors he/she exhibits that are normal? Because normality and abnormality lie on a spectrum, things such as levels of bizarreness, persistence, social deviance (cultural deviance), subjective distress, and psychological handicap must all be assessed. The Therapists at Anchor Counseling Center are dedicated to treating you on a holistic level—we don’t just treat the problem. We pay attention to diagnostic-labels and their associated stigmas, and while we may prescribe a diagnosis we are open to client’s thoughts and questions as to whether that diagnosis is correct. If you feel that you need help getting through a problem or have previously been diagnosed with a psychiatric disorder but feel like nothing is changing, please give us a call at Anchor Counseling Center and schedule an appointment. At one time or another we all get nervous around people. For many this feeling can be a very serious condition that may not allow them to perform their daily tasks or routines. Social Anxiety effects many people around the world but the good news it’s treatable. The first level of the disorder can primarily focus on performance. With Performance Social Anxiety a ordinary person has trouble getting up in front of people because they feel they maybe be judged. This also includes social speaking, and they go out of their way to avoid any of these situations. The next level of anxiety is usually what we all have a little of: General Anxiety Disorder. It’s the bodies natural response to many given situations. For others this disorder creates it difficult to have friends or go out with people you know or work with. You can get anxious in crowds of people even if you know them. The anxiety increases if you actually have to speak. The last is the most difficult of the 3 social anxiety levels. With Avoidant it actually takes over your personality. People with Avoidant Personality Disorder often are considered loners and never leave the house. They often will not find a partner in life. Early signs of this disorder can be seen in childhood. On a positive note, these conditions can be treated by a therapist using psychoeducation, CBT and Exposure Therapy. You may require assistance with medication but working with a therapist and a psychiatrist, the world can become a more enjoyable place to live in. In using CBT, your therapist will begin to work with you on reformatting some of your thoughts that maybe leading to your primary emotion. This emotion in the end will result in your choice of action; to interact with people or not.